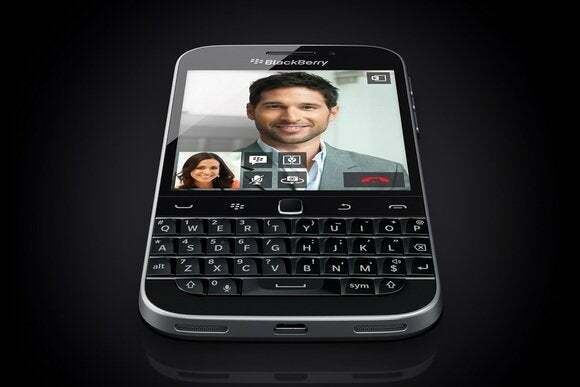 Blackberry is digging deeper into the past for its latest smartphone with the QWERTY-equipped Blackberry Classic. The phone is a clear nod to the old Blackberry Bold line, with a 3.5-inch 720-by-720 resolution display on top and a physical keyboard on the bottom. While last year’s Blackberry Q10 already pulled that trick once, the Classic goes a step further by bringing back the optical trackpad and the “tool belt” of physical buttons for back, menu, and phone calls. However, that’s where the similarities end. 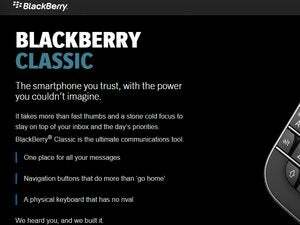 As with Blackberry’s other recent phones, the Classic runs the modern Blackberry 10 operating system, which is completely different from the Bold’s software. The OS is built largely around gestures and unified communications in the Blackberry Hub, and it has two app stores—Blackberry World for enterprise and productivity apps, and the Amazon Appstore for games and other light fare. Still, Blackberry is pushing the Classic as an “upgrade” to the Bold experience, with a larger screen, faster Web browser and longer battery life of up to 22 hours of mixed usage. The phone also adds modern touches such as a voice-activated virtual assistant, video calling built into BBM and the Blackberry Blend feature that makes certain certain apps and files accessible on tablets and PCs. Inside, the Blackberry Classic has a 1.5 GHz Qualcomm Snapdragon processor, 2 GB of RAM, 16GB and a MicroSD card slot. At $449 unlocked, the Classic is a lot cheaper than the Blackberry Passport that launched in September, but the unlocked version will only work on AT&T or T-Mobile. Blackberry says it’ll reveal carrier-specific availability at a later date. Why this matters: Until now, Blackberry has largely failed to convince its longtime customers to migrate to its new operating system. Until July, Blackberry 7 phones repeatedly outsold Blackberry 10 handsets, and the changeover only happened because overall sales have been dropping like a stone. The Classic is a Hail Mary effort to win over the holdouts; if it doesn’t work, it’s hard to see Blackberry ever recovering on the hardware front.